The Spartans have a genuine chance in this game, but it is not going to happen if they turn the ball over. 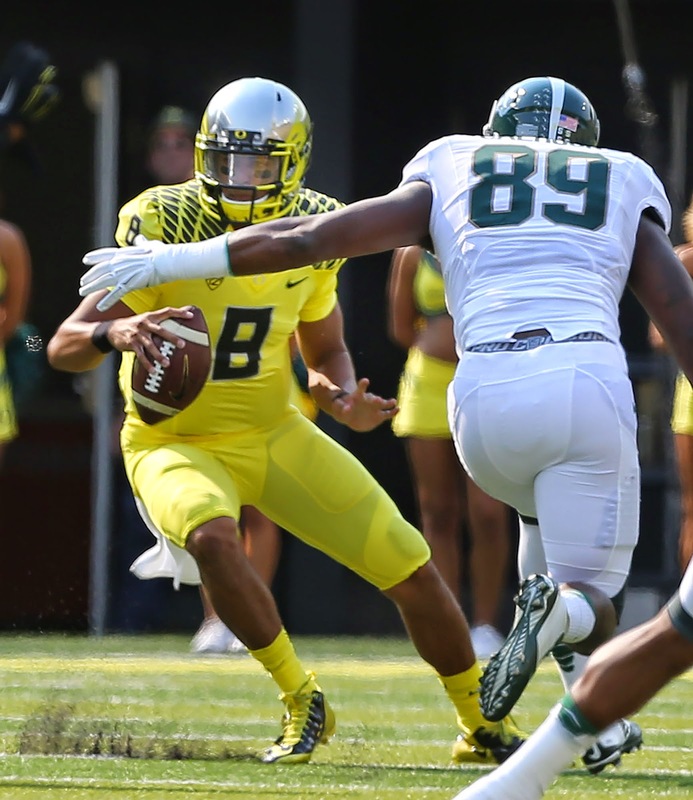 You saw how quickly Oregon turned the tables on MSU after Connor Cook threw his interception. The Ducks can turn this game into a rout quickly. The dam is always on the brink of breaking against these guys. It's disappointing the Spartans didn't get the lead. It was a key factor. - Nick Hill looked terrific for the Spartans in their season opener vs. Jacksonville State. It wouldn't surprise me if he becomes a factor in this game. - The Spartans looked clueless on the two-point conversion. That extra point could mean the difference in a close game. - The Spartans are matching up well with the Ducks athletically. They have been closing very well while tackling in space. If anything, they are more athletic upfront on both sides of the ball. - I thought that pass down the sideline to wide receiver Aaron Burbridge was interesting. He is MSU's most talented receiver when it comes to size, speed and athleticism combination. The Spartans should make an effort to get him the ball.